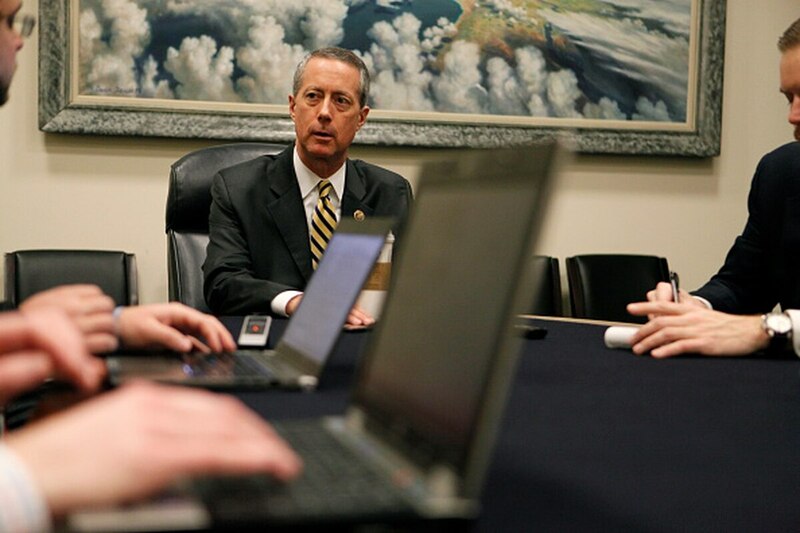 WASHINGTON — House Armed Services Committee Chairman Mac Thornberry next week will unveil legislation that would make some changes to the Pentagon's buying system. The Texas Republican told reporters Monday that he intends to introduce the bill by "mid-week" next week, aiming to give members a month to provide feedback before HASC begins crafting its 2016 national defense authorization (NDAA) bill. The legislation is the product of lengthy committee study of the Pentagon acquisition system, which officials and lawmakers of both parties agree too often churns out weapons far over budget and behind schedule — or leads the services to cancel them. Former HASC Chairman Buck McKeon, R-Calif., set in motion the study and tapped Thornberry to lead it. The rollout will begin with an event next Monday at the Center for Strategic and International Studies (CSIS) in Washington. "And then next week I'm going to introduce a bill that is a proposed acquisition reform bill. So it'll be introduced as legislation," the new committee chairman said. "And, actually, we'll have that which is the bill language and also release proposed report language. And then invite comments on it." Thornberry wants that feedback in case members "think it's going to be harmful." But his comments came with a caveat,, saying the legislation is "just a first step" that is not going "to solve all the problems." He offered a few glimpses of the kinds of problems his bill aims to correct. One are "incentives in the system" that can lead to poor outcomes. "Obviously, you don't pass a bill that fixes all that because you're talking about human reactions to the incentives.," he warned. Another will be "thinning out regulations" because Pentagon officials and lawmakers want program managers "to manage the program … not the paperwork so much." Getting rid of those items, he hopes, will increase accountability because "somebody's in charge." Thornberry, no newcomer to defense acquisition issues nor Washington, acknowledged he is worried about expectations being too high. "There are no quick fixes," he said. "This is just a start." Meantime, Thornberry announced HASC's subcommittees will begin marking up their version of the authorization bill the week of April 20. The full committee will then take up the bill on April 29. As of now, Thornberry said leadership has penciled in the NDAA for the House floor the week of May 13.